The Oilers need to bounce back after Saturday’s disappointing loss to the Flames. The Philadelphia Flyers have lost three straight, including a 4-1 setback in Vancouver last night and they enter Rexall Place with a 4-5-2 record. 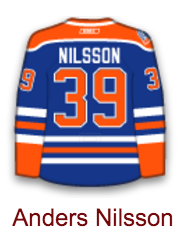 This is another team the Oilers need to beat. They will never improve if they can’t compete and regularly defeat average teams like Philadelphia. The Flyers are struggling to score. They’ve only scored once in each of their past three games, and they’ve only lit the lamp once in six of their eleven games played. Claude Giroux has four goals and only six points. Jakub Voracek has no goals and only four points. Voracek’s new $8.25 million/year deal begins next season. The Flyers need him to start producing. The low goal total isn’t a major surprise, he’s more of a passer than shooter, but four assists is unacceptable. The Flyers need their two best players to start producing if they hope to win. The Oilers have been getting excellent production from their two best forwards. Taylor Hall has seven points in his last three games, and 13 on the season. Connor McDavid has 12 points in 12 games, and those two give the Oilers two dangerous lines. Leon Draisaitl has fit in very well with RNH and Hall, while the Pouliot-McDavid-Yak trio has been excellent, except for Saturday’s loss vs. Calgary. 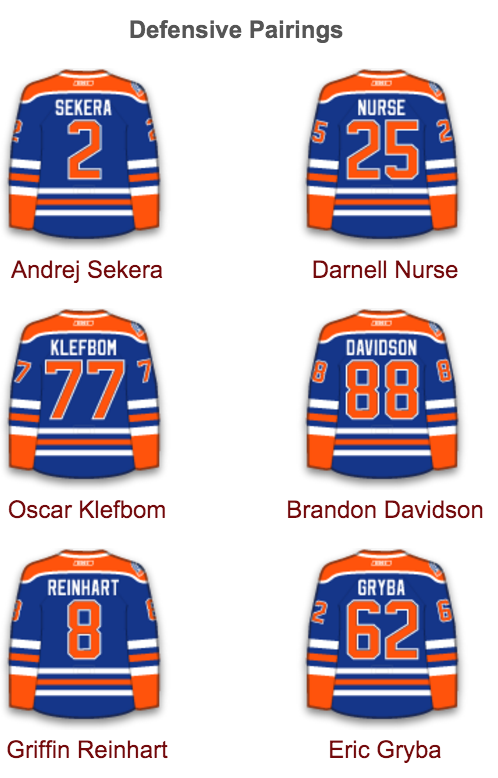 The Oilers need some production, albeit not much, from their bottom six forwards. Todd McLellan mentioned that again today, and he is hoping Purcell’s two-point effort on Saturday will jumpstart the veteran’s production. It is the battle of the backups. Anders Nilsson will play his first game since getting pulled on October 23rd vs. Washington, while Michal Neuvirth will start his 5th game of the season. 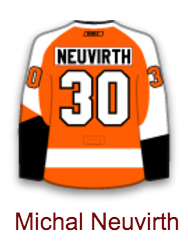 Neuvirth has a solid 1.91 GAA and .939sv% this season, while Nilson, after a strong first two games, has a .902sv% and 3.92 GAA. 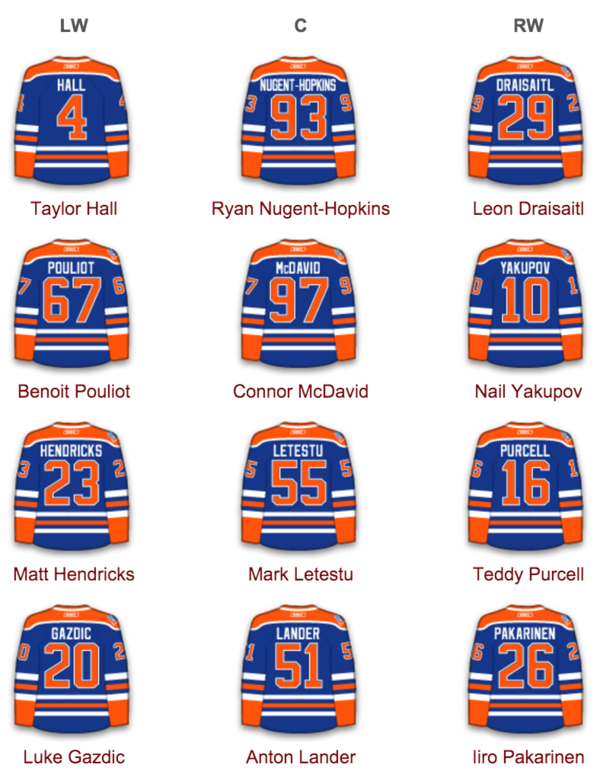 Matt Hendricks is back in the lineup. He took a shot off the inside of his right ankle in Calgary on October 17th and hasn’t played since. He suffered a bad pressure cut and he still has some swelling on his foot. He admitted it is painful to skate, but he wants to play and the Oilers need his energetic personality on the bench and in practice. The Oilers are an extremely quiet group. Good teams have vocal leaders and energetic guys on the bench, but with Hendricks out the team lacked that ingredient. The Oilers activated Hendricks and put Lauri Korpikoski on IR, retroactive to last Wednesday. He said yesterday he is ready to play, so he could be activated by the weekend. Darnell Nurse is a vocal player and as he gets more comfortable he will speak up more. It is difficult for a rookie to come in and be one of the vocal players, but with such a quiet group, Nurse might have to become more vocal sooner than expected. Defencemen like the plastic skate protectors, but many forwards, especially wingers, don’t. The puck explodes off the plastic, and when D-men ring it around the boards and the forward tries to knock it down with his feet, it is much harder to do it wearing those protectors. Hendricks will wear them tonight. He wore them during the lockout season, but said they felt clunky. “I have no choice, but to wear them now. They help when you are blocking shots, but it is a challenge if you are trying to control a pass off your skates,” he said after the morning skate. 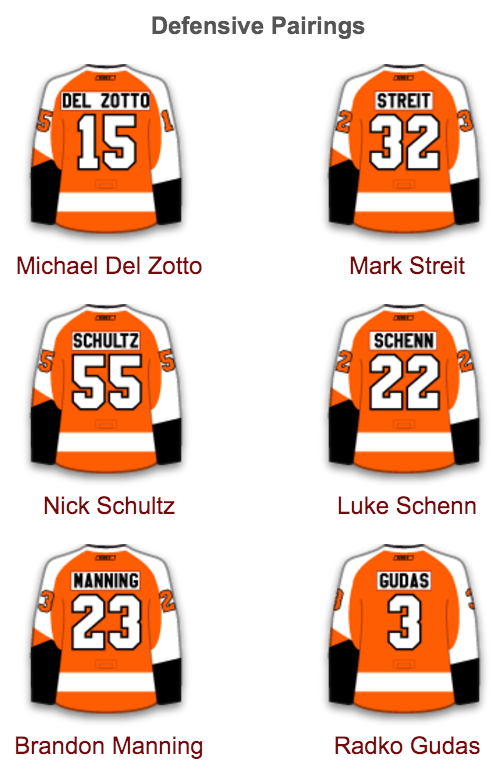 Sean Couturier skated this morning. He has missed five games due to a concussion and it sounds like he will sit out tonight. McLellan said Fayne is out because he didn’t want to insert two D-men who didn’t play last game at the same time. 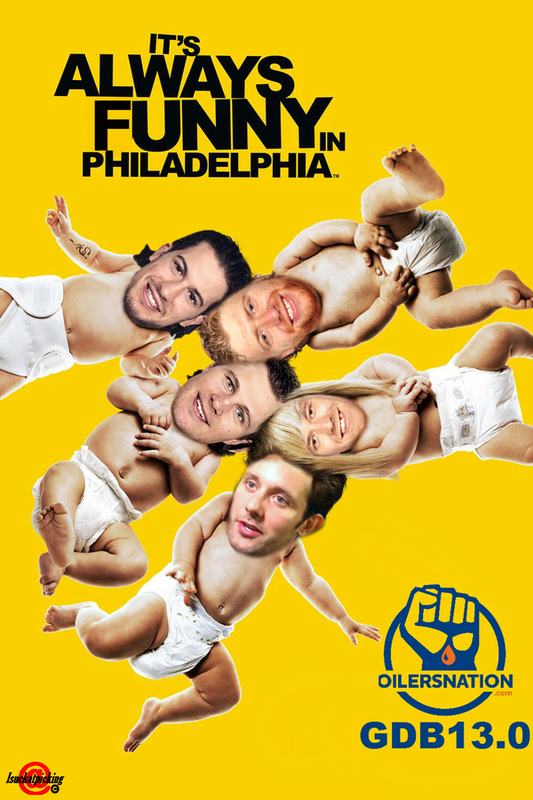 Reinhart draws back in tonight, and we might see Fayne on Friday if one of the D-men struggle. The Oilers had a dramatic comeback win against the visiting Montreal Canadiens on Thursday, recovering from an early 3-0 deficit to skate off with a 4-3 regulation win keyed by a three-goal outburst in the third period. The emotional win was followed by a 5-4 regulation home loss to the Calgary Flames. Once again, the Oilers fell in early multi-goal hole and battled back to eventually tie the game. This time around, however, it was the opponent who came up with a late goal to seal the match. Michal Frolik finished off a hat trick with the game-deciding goal in the final 10 seconds of the third period on a seemingly harmless shot out of the corner. Tuesday’s game is the third match of a four-game homestand for the Oilers. The team enters the game having lost four of its last five games overall. On home ice, Edmonton is 2-4-0 on the season to date. GAME DAY PREDICTION: After being outscored 8-2 in their three previous first periods, the Oilers storm out of the gate and lead 2-0 after 20 minutes, and win the game 5-2. OBVIOUS GAME DAY PREDICTION: Sam Gagner picks up a point against his former team. NOT-SO-OBVIOUS GAME DAY PREDICTION: McLellan mentioned they need more secondary scoring and he gets a goal from the most unlikely of sources. Eric Gryba has four career goals. His first NHL goal came on home ice on March 23rd, 2013 in Ottawa, but his next three have come on the road. He didn’t score a goal last year, and the last time he tickled the twine was March 8th, 2014 in Winnipeg. He ends his 105-game goalless drought tonight. Nominate your Home Ice Hero and they could win a prize worth $5,000. Nominate your hero. 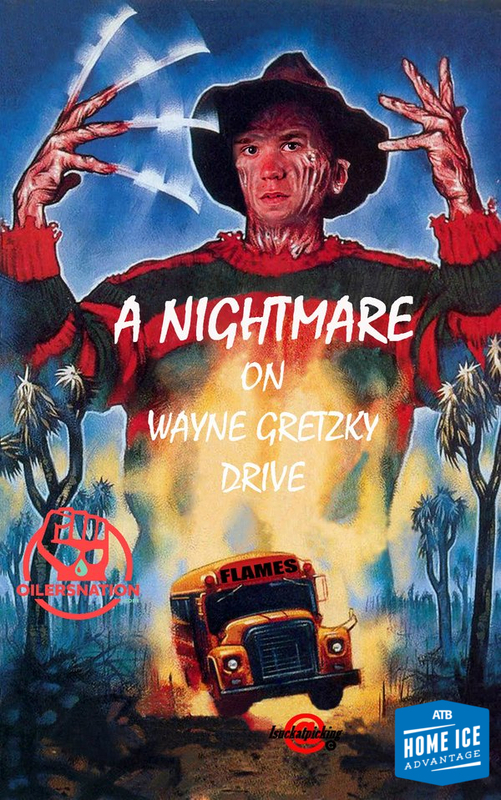 I liked the Title Picture until the Nightmare included McDavid. It looked left Collarbone to me or a separation of the left shoulder. If it is the shoulder it could mean the season. Bone is 6-8 weeks. Hope its just a bad bruise. The person who did the photoshop for the GDB should be prohibited from doing anymore: you asked for a Nightmare on WGD-and you got it! I don’t want to talk about the Mcdavid incident IMO there was nothing dirty there. But Hall took a beating tonight. That hit from behind that was a non call from the refs, after MCDavid is already out of the game needed to be dealt with. I don’t care if Gazdic gets himself suspended, just do something terrible. Not sure how many of you noticed, but he didnt even touch the ice after that. I was watching, I never saw a #20. And if he was, I didnt notice. And if I didnt notice, I would bet he was under orders to do nothing. Mac-L coaching for the win. And really, after the whole Todd Bertuzzi/Steve Moore mess, if anything serious happened as a result of Gazdic’s retaliation it sets up everyone for a world of hurt. Best thing they could have done was put their heads down and win. I’m sure that was the message in the intermission. I would have loved to see smashed faces just like the next guy, but I don’t think that’s the NHL we are in anymore. I don’t care. In my opinion you just explained why he’s useless as an Oiler. Literally, utterly useless. 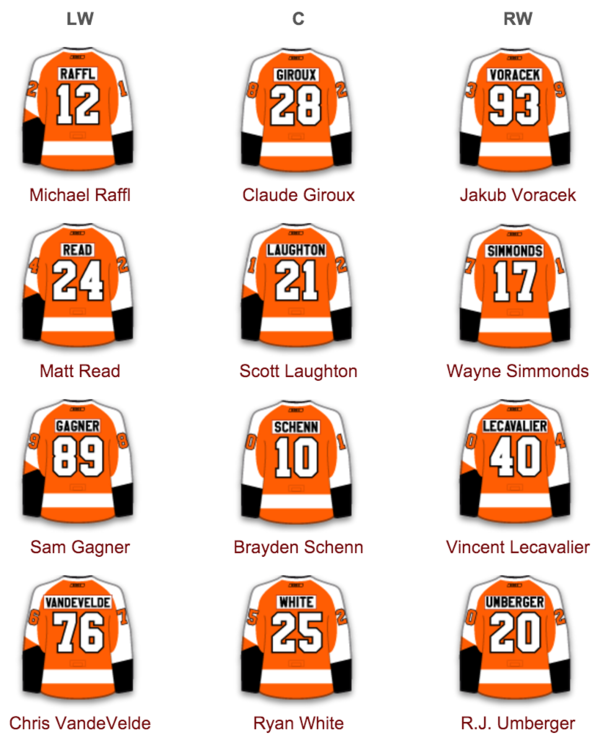 Just as I don’t care that Philly had no stars in the line-up to hurt. We’d actually be helping them by taking out a player making big bucks for extremely low points production. I agree BUT, I think T-Mac has made it clear Gaz is playing by his merits as a hockey player not a face puncher. I’ve actually been impressed a lot with his play. Still a bubble player at best but, in my view, a better contributor to the actual game play than last season. I agree with you that Gazdic is useless. If you cant play 12 minutes a night an contribute to winning, there should be no place for you in the NHL. If you can, and you can also punch faces, bonus. I’m with you. I don’t think enforcers today understand their roles. Did you just hear that? That was me smashing my computer and yelling at the moon-and I live down here in Oklahoma…DAMN IT. Yes, they won the game. I get it, he lost an edge…it was a yard sale on the end boards. We got pushed around after that happened. Remind me why we have Gaz? Saying he was injured because he lost an edge is asinine. Ya. Like one of the best skaters in the world is going to lose and edge right there and crash into the boards if he was on a breakaway with no-one around. It likely had something to do with being tugged off balance at literally the most vulnerable moment possible (right after the shot and the weight transfer) and then a slash in the face for good measure. Painful. But it does look to me as if he lost an edge. You may see it different. Call me assinine and we can’t be friends anymore. I’m as crushed as every other Oiler fan right now. Im even more crushed that there was 42 seconds left in the game, when it was clear the game was won, that there was no statement made. That is what makes this hurt the worst. Well, there goes Yak’s season.